USA (MNN) – The recent GQ article that said the Bible is one of the books that doesn’t need to be read should be taken as a challenge by Christians to live out their faith and to go deeper in the Word. The article stated that the Bible “is rated very highly by all the people who supposedly live by it but who in actuality have not read it”. So, how true of a statement is this? Last year, LifeWay released a study that surveyed 1,000 Americans on how much they’ve read in their Bible. Twenty percent said they had read the entire Bible. Of that, nine percent had read it more than once. Twelve percent of those surveyed said they had read almost all of it, 15 percent said they’d read at least half of it, 30 percent – and the largest majority – said they’d read several passages or stories, 13 percent had read only a few sentences of their Bible. And, finally, 10 percent said they hadn’t read any of it. In America, we have no lack of chances to hear the Gospel. We’ve become comfortable and haven’t had to put up much of a fight for what we believe in. But because of that, have we become complacent, relaxed, and lazy in sharing our faith and growing in it? 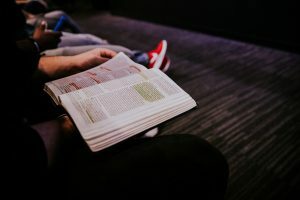 What does this do and what message is spoken to unbelievers around us if we – believers in Christ – don’t read the Bible even as we encourage them to do so? “We have to live in both worlds. In other words, we have people around. We have opportunities to hear the message every day in the country where we live, and we need to be both able to share our faith orally, and we need to live our faith and demonstrate it in our everyday lives. And I think sometimes people write off our faith because they don’t see it lived out where they are,” says Issachar Initiative’s President, Paul Eshleman. The backbone of Issachar Initiative is to finish the Great Commission by bringing together ministries and Christian leaders. Recently, Issachar Initiative gathered mission leaders in the Grand Rapids, MI area to strategize how they can fulfill the Great Commission. “It’s not an effort of one organization to try to build its organization, but it’s an effort of the whole Body of Christ to say how are we doing,” Eshleman says. Eshleman points out that there are about 120 passages in the Bible that talk about sharing faith, including how we can share it and who we should share it with. 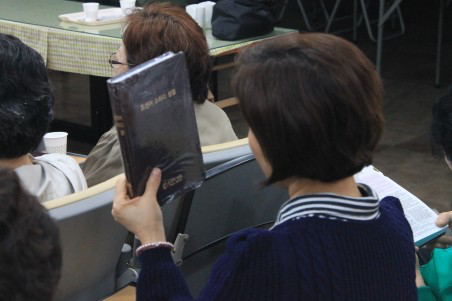 But first, we have to dive deeper into the Word. Living out faith and being in the Word helps in working towards the goal of fulfilling the Great Commission as it opens peoples’ eyes and hearts to what Christians believe and follow. Recently, there have been a number of other events focused on sharing the Gospel with the unreached too, including Finishing the Task and International Day for the Unreached. “I think it’s the Spirit of God moving in other places,” Eshleman says. Eshleman says people will know these two things because they’ll be reflected in the lives of believers. 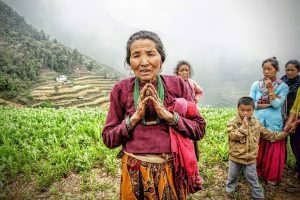 While these conferences focus on sharing the Truth with the unreached, you can share with the unengaged too by reflecting the Love and Truth of Jesus. Join Issachar Initiative in finishing the Great Commission through prayer, evangelizing to those around you, and through giving. Pray God will move in the Church so believers will go deeper in their faith.